The 40 official candidates of Bb. Pilipinas 2019 were officially presented to the member of media yesterday, April 4, at Monet 2 Ballroom of Novotel Manila. 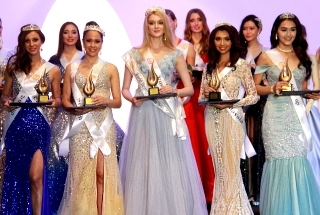 For the first time in Binibini history, the girls wore their official sashes instead of the traditional number. Judging them based on the posted interviews. Samantha bernardo wins this round followed by Hannah Arnold. Samantha is very engaging and full of life. Aya indeed inprove as well Gazini but they have to learn to play with words and make it more convincing and impactful. 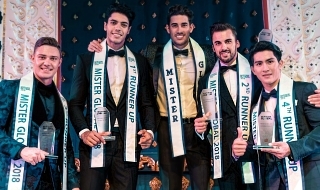 Pageant experience and hard work in training pay off: only Bernardo and Abesamis for MUP. I’m not sold on Gazini, she’s not there yet. The rest, enjoy and learn from this experience. Aya looks like Queen Latifah. di na na dapat ipagtanong: it is patch magtanong. 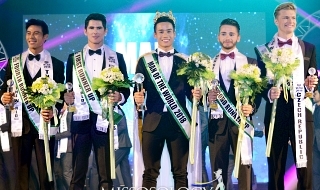 Si Gazini kamukha ng Miss Universe 2018 first-runner up! Ang ganda nya. In fairness, each of them has their own unique beauty. They just have to believe in their capacity and strive to be the best version of themselves. ambivalent_2003 wrote: di na na dapat ipagtanong: it is patch magtanong. I am so with you!!! Among the Videos only Samantha impressed me for the reason that sabi nga ni Tito Bhoy "You always go back to your advocacy" and Samantha did mention about it and I feel like Samantha really knows that joining is not just about winning and the crown but putting her advocacy as the heart. Hannah's questions was different from Samantha But Hannah was answering it very casually and very natural. Gazzini was like "Meh" you need to answer with more conviction to convince me. Maybe because the way she talk it's too maarte. Answer like Catriona "Always with Conviction". Patch is like very Theresa Licaros and it will not bring us to even a semi spot at Miss Universe pageant. Tandaan pukpukan ang labanan sa Miss Universe stage. matira ang matibay. Kaya dapat bibo palagi sumagot. [size=150]Gazinini - sige lang day bisag pagshinowbiz jud ang emote og tubag sa Q&A. ikaw pinaka gwapa sa tanan sa karon batch 2019 nobody can deny. just enjoy lang bisag unsa na lang crown ihatag nla nmo just be thankful. Hannahsh - ambot kaka umay na mga ganyang karakas. pwede ba iba naman? Patchipatchi- isplukera , pinay beauty & charm, need lang pasarela and projection. Samanthala- underdog. magaling din ito. kkhanga. host: what's the best way to get muo to host Miss Universe in phils again? I'm Beach Beauty, don't confuse me with some alternick, I'm too high class for that! Hobbies/Interests: Shopping, sunbathing and being gorgeous! Message: I LOVE EVERYONE OF YOU, I REALLY DO! PROUD TO BE FILIPINO! !